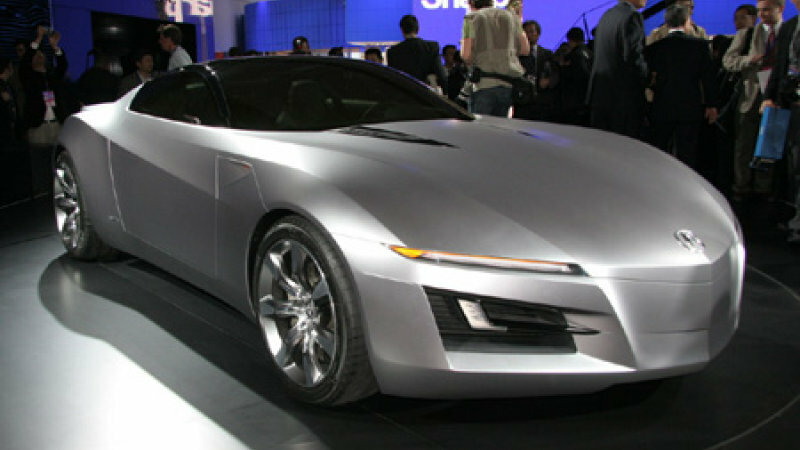 The show-stopping Acura “Advanced Sports Car Concept” made its world debut today at the 2007 North American International Auto Show. The dynamically styled concept provides a preview of the design direction for the successor to the Acura NSX. Created to take exotic sports car styling to a new level, the concept is designed to incorporate a powerful front-mounted, V-10 engine and a new high-performance, rear-wheel-drive based version of Acura’s exclusive Super Handling All-Wheel Drive(TM) (SH-AWD(TM)).